What makes LINK group successful? In August 2005, we became a Cambridge International School, which provides our students with an opportunity to acquire one of the most widely recognized international certificates. Cambridge International certificates open the door to a successful career and are conducive to personal and professional advancement, while providing official recognition and certification of the acquired knowledge and skills. These certificates represent a range of professional qualifications designed for people who want to advance their careers or their levels of education. Possession of these certificates gives employers a guarantee that the candidate has top-level professional competencies, thereby providing advantage when it comes to employment. The certificates focus on a number of areas, specific for certain jobs, including ICT; business and management. They are available at different levels and suitable for students of all ages and types of experience. As a Cambridge International School, LINK group is also accredited for IGCSE and A-levels programmes. To find out more about the Cambridge programmes and the certificates for students click here. If you wish to find out more about the programmes for teachers, visit the following link. Thanks to a successful cooperation with Cambridge English Language Assessment, LINK group has become a registered Cambridge English exam center. Cambridge English Language Assessment fosters a unique approach to learning and assessing English through numerous exam and preparation centers worldwide. Internationally recognized qualifications and certificates obtained after taking Cambridge English exams will help you enroll at university or find the right job. The vitality of our partnership with Microsoft and our status as a Microsoft Partner confirm the highest level of knowledge and expertise in work with Microsoft technologies and the close business relationship with Microsoft. The Microsoft Partner program provides our students with the latest MS technologies, full technical support, technical information, all sorts of available MS software, beta versions, and other official benefits available only to partner organizations. Microsoft Partner Program is intended for IT companies who offer a wide selection of Microsoft-based services and solutions (consulting, development, maintenance, support, training, software packages, hosting, etc.). Being a part of this program is a valid proof of skills and technical knowledge necessary for the application of Microsoft-based solutions. It is also the recognition of LINK group’s determination to be in step with the latest technologies. Confirmation of our reputation, professionalism and quality is reflected in the long-term cooperation and partnership with a leading software company Adobe. We are authorised Adobe Training Centre, which means that our students are attending classes that are compatible with Adobe programe using the latest Adobe software packages. In addition, our students have the opportunity to acquire prestigious Adobe certificates, which are representing expert skills in the use of one or more Adobe products. Pearson VUE is one of the world’s two largest (along with Prometric) test centers; exclusive provider of official examinations for companies Adobe, Oracle, CompTIA, Cisco Systems, Zend Technologies and many others, whose diplomas, certificates and licenses, as proof of competence of the highest order, have become a standard and a requirement of IT companies in 165 countries worldwide. Zend certificate constitutes an industry standard for PHP certification, which confirms excellent expertise in the field of PHP programming. Examination areas specified by a board of top independent PHP experts and worldwide community assure recognition and provide clear advantage to certified Zend PHP developers. Since examination for this certification is designed to check knowledge and competencies from real business environment, Zend certification provides confirmation of technical achievements which employers use and value when they are making a decision regarding future engagement. It often happens that possession of Zend PHP certification is decisive for engagement of future senior PHP programmers. Developed by Zend corporation in accordance with ANSI (American National Standards Institute) regulations, Zend certification program has been designed so that it tests the level of a candidate’s knowledge without influence from technologies outside PHP. The test uses sets of questions that reflect situations from real environment, including knowledge from many areas, from basic toward complex ones. In mid-2015, LINK group became an accredited partner of the MikroTik company; based on this partnership, LINK group’s students receive an opportunity to acquire recognized certificates of knowledge and skills from the realm of RouterOS network management and configuration, considered necessary for all top IT experts. In this partnership, LINK group operates as a MikroTik training center, while ITS (Information Technology School) gained the status as an accredited MikroTik academy. Owing to the cooperation between LINK group and Link-Assistant, SEO PowerSuite, one of the most esteemed software solutions in the SEO industry, will become available to the students of ITAcademy and InternetAcademy. With this partnership, LINK group has joined numerous licensed users of this software – one of the leading solutions in the SEO industry – around the world. The PRO license enables the users of the aforementioned educational institutions to use, free of charge and without limitations, the most advanced functionalities and acquire useful skills they will be able to apply immediately. Thanks to our cooperation with Google, LINK group’s educational institutions have the exclusive right to organize Google Academy training for acquiring the official Google AdWords and Google Analytics certificates. During their education, the students receive free access to these training programs, where they acquire knowledge of the fundamentals and the advanced aspects of Google advertising tools, along with the unique possibility of certifying the acquired knowledge. Google certificates constitute a globally recognized accreditation designated for digital marketing experts and serve as official confirmation of knowledge of the latest online advertising and digital analytics techniques. LINK group has initiated a collaboration with Oracle, the second largest software developing company. This has made ITAcademy the first and sole educational institution in Serbia to become an official Oracle WDP (Workforce Development Program) Partner. With this collaboration, ITAcademy has joined the best educational institutions around the world that meet the high standards of this company, and enabled its students to use numerous programs, attend original Oracle University courses, and prepare for prestigious international Oracle certificates. LINK group is the first and only authorized Linux Professional Institute (LPI) training center in Serbia, Romania and Bosnia and Herzegovina, so ITAcademy students, not only those from Linux Administration department but also those studying at Microsoft Administration department, have stronger chances of achieving the highest level of success at LPIC exams, which constitute the highest and most relevant level of confirmation of knowledge and skill which every IT professional ought to have regarding work with Linux operating systems. Android ATC – Advanced Training Consultants is an organization that operates in education and certification in the information technology field at the global level. LINK group is the first and only authorized Android ATC training center in Serbia. Thanks to this partnerships, ITAcademy students can acquire prestigious knowledge directed at the modern market and receive some of increasingly in-demand certificates where programming for the Android operating system is concerned. Chartered Management Institute is a prestigious international institute for professional certification of managers. Through years of experience and active promotion and development of management and leadership theory and practice, this institute has set very high educational standards that others follow. By offering specialized skills and knowledge, with emphasis on development of personal and professional skills that are a defining feature of modern-day managers, as well as certification flexibility renders the Chartered Management Institute program unique. Public institution Sarajevo Canton Employment Service and ITAcademy and BusinessAcademy signed an official protocol on cooperation, to organize a series of actions for the training of the unemployed. The Institute recognized ITAcademy and BusinessAcademy as an ideal partner to carry out its mission of reducing unemployment in Bosnia and Herzegovina, whose programs help the unemployed to respond to market demands and find the job they want. Department mediate employment, carry out actions employment, vocational guidance, training and retraining of the unemployed in Bosnia and Herzegovina, as ITAcademy and BusinessAcademy a quality training to its students provide employment and secure profits, for this was the right move. Autodesk is a multinational software corporation, leader in 3D software for designing, engineering and creating digital content. LINK group’s ITAcademy is an autorized Autodesk Training Center (Autodesk ATC), which means that it provides an opportunity to acquire prestigious certificates that constitute reliable validation of students’ skills and knowledge, and lead to more rapid professional advancement, increased productivity, and higher credibility. As an authorized Autodesk Training Center, ITAcademy provides training according to Autodesk’s principles to its students, using the company’s latest software. Partnership with Premium LearnQuest provides our company with access to state-of-the-art learning technology in IT and business, as well as cooperation with numerous partners of this leading global educational center. This partnership enables us to conduct licensed training in many areas of IT, and provide our students with access to a wide range of resources, training and other benefits. Highlighting the importance of English language in the world of business, which includes a broad international field of possibilities, we have begun cooperation with the British Council – the leading international organisation in the UK that deals with education and cultural relations with countries all around the world. As British Council Preparation Centre, we provide the opportunity for students to take Cambridge ESOL exams – FEC and BCE English Certificate, which are among the most renowned English language diplomas and certificates in the world. Professional certification of HR managers is carried out through the highest level of partnership with the world’s leading HR certification institute – HRCI, USA. HRCI certification is very highly regarded among HR executives and professionals throughout the world. Over 250.000 HR professionals have acquired HRCI certificates. By acquiring these skills and knowledge you are gaining a proof of your expertise in the HR management and a chance to adequately cash-in your knowledge. As a company that operates at the highest professional level, LINK group provides the students at its educational institutions with the possibility of acquiring a number of international certificates and diplomas. 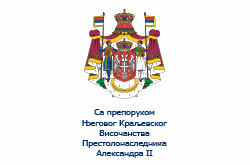 On the other hand, the value of the diplomas awarded by the higher and secondary education institutions and academies within LINK group is guaranteed through accreditations from the Ministry of Education, Science and Technological Development itself, as the institution with the highest degree of jurisdiction when it comes to education at the national level. These accreditations confirm the quality of the curriculum, the teaching personnel, and the overall system of education at our institutions. EMC Corporation is a leading global company in the sphere of storage, virtualization, security and cloud computing, with revenue exceeding 20 billion dollars, and 60,000 employees, with headquarters in Massachusetts, USA..
EMC’s best-known branches are VMware and RSA Security. EMC’s vice-president, William J. Teuber, Jr, is a member of ITS’s coordinating board. ITS is the only school in this part of Europe that has this kind of cooperation and partnership relation with EMC Corporation. EDEN - European Distance and E-learning Network. In January 2005 we became members of the leading European distance learning association EDEN - European Distance and E-learning Network. This assures that our students study according to the same distance learning principles and criteria as EU residents. In addition to that, curricula and general qualification scheme for IT professionals in the EU are prescribed by CEPIS, and by IEEE in the USA, two world’s largest professional IT associations. Educational standards for IT professionals are laid down in the EUCIP Syllabus (European Certification of Informatics Professionals) and CC (Computing Curricula). LINK group is also an accredited international training and testing center certified by the ECDL (European Computer Driving Licence) Foundation. That guarantees that we have fulfilled the standards applied in the EU in organizational, technical, personnel and every other sense. ECDL constitutes a knowledge certification system recognized in over 160 countries. We are implementing the latest ECDL Syllabus version 5.0 in our education program. European Computer Driving Licence (ECDL) is designed and monitored by the ECDL Foundation Ltd. (ECDL-F). The European Computer Driving Licence Foundation was established in order to coordinate, promote and monitor acceptance and application of the ECDL concept across Europe. For European countries, ECDL licence also implies membership in The Council of European Professional Informatics Societies (CEPIS). For non-EU countries, ECDL Foundation grants licensure only to organizations which it finds adequate regarding all the necessary criteria. LINK group is the only Registered Training Centre for IQN (formerly BIMS UK) qualifications in Serbia. International Qualifications Network (formerly British Institute of Management Studies) is one of the fastest-growing global organizations that provide international certification relevant for business and finance sector. The mission of this institute from Great Britain consists in offering globally recognized and valued qualifications to businessmen and businesswomen who want to achieve exceptional success and results. IQN certificates are officially recognized and valued in more than 160 countries. 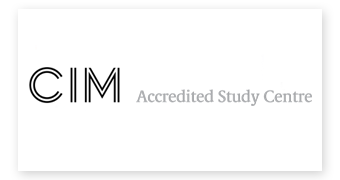 LINK group is one of 200 accredited centres of the acclaimed Chartered Institute of Marketing (CIM) from Great Britain, the prestigious international institute for professional certification and education in marketing and business. This renowned institution has been bringing together marketing professionals for over 100 years and has a leading role in certification for marketing professionals today. CIM certificates are recognized all over the world, serve as preeminent confirmation of knowledge and expertise in the field of marketing, and bring considerable competitive advantage on the market to their holders. We are the first ICT test and training center certified by the Chamber of Commerce and Industry of Serbia, proving that we have met all the standards on the local education market. We are members of YUMPA – Serbian Project Management Association, which authorizes us to carry out trainings according to the international project management certification program, applying IMPA (International Project Management Association) standards. LINK group is authorized to carry out trainings for the following certificates: D level - Certified Project Manager Associate, C level - Certified Project Manager, B level - Certified Senior Project Manager, and A level - Certified Project Director. LINK group is a member of European Council for Business Education (ECBE), international organization for accreditation and evaluation of business education programs across Europe. ECBE’s mission is recognizing, encouraging and rewarding educational institutions that continuously introduce innovations into the education process and that have achieved excellence in their work. As a member of this renowned council with headquarters in Belgium, we provide the highest level of quality of education to our students, with obligation and responsibility of constantly perfecting our program and harmonizing it with actual global job market needs. 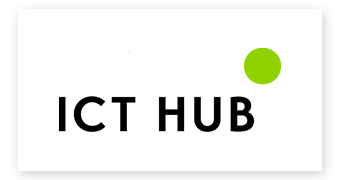 ICT Hub is a high-tech business incubator for information and communication technology, created with the mission to facilitate the development of technology entrepreneurship in the community and encourage those whose career is beginning to realize their innovative ideas in a quicker and easier way. Cooperation with ICT Hub provides students at LINK group’s educational institutions with an opportunity to develop their own IT businesses with support from seasoned experts and renowned companies that endorse this project. The International Federation of Technical Analysts - IFTA, institution with headquarters in the United States of America, has more than 30 years of tradition in activities in international education and certification of technical analysts. The Public Relations Society of Serbia is a professional organization founded in 2004, as the successor of the Public Relations Society of Yugoslavia, the oldest PR society in the former republic. Currently, it comprises some 200 regular members from various social segments who have joined forces on the same mission – to enhance the field and profession of public relations. The mission of the Society is to contribute to the enhancement of the field and profession of public relations, help the implementation of the highest professional and ethical standards and realize top quality professional programs, organize conferences, seminars and trainings, and establish international cooperation and the exchange of experiences. LINK group is a member of Bit Alliance, the largest association of software industry companies in Bosnia and Herzegovina. The aim of this cooperation is to solve the two main problems the software industry in the region is facing on a daily basis – lack of qualified employees and an underdeveloped infrastructure in the software industry, accompanied by a lack of development incentives. Our shared programs and projects include the education of elementary school and high school students, vacancies for IT experts, raising public awareness about the prospects of IT, and a positive impact on the formal education system. American Chamber of Commerce in Bosnia and Herzegovina brings together the leading companies and organizations from various spheres of economic and social activity. The Chamber brings together law and consulting firms, ICT companies, PR, marketing and advertising agencies, as well as nonprofit and educational organizations and institutions. Through this membership, LINK group has become a part of AmCham’s prestigious global network, which represents the interests of over 3 million registered companies from all sectors and all parts of the world. This cooperation will play an important role in the advancement of the business climate in Bosnia and Herzegovina, as well as in the promotion of high standards in education region-wide. Certiport, as one of the world’s biggest test centers, is authorized for testing and the entire process of certification for a large number of the most influential institutions, whose certificates, diplomas and licenses confirm expertise of the highest degree. ITAcademy’s status as Testing Center provides the privilege of examination only to students. The Foundation of Crown Prince Alexander II is a non-profit organisation dedicated to the advancement of education and academic research in Serbia, linking Serbian educational institutions with renowned international institutions. The Foundation links young people in our country with the business community and the world in general, which is one of LINK group’s goals, making this partnership particularly significant. We help people to become more successful. That is our mission. Our mission, our job - education, does not constitute mere teaching, realization of relevant and applicable curriculum, content and distribution of knowledge, examinations, but striving to help our students, in all respects, to be more successful, better, to build new or advance existing careers.